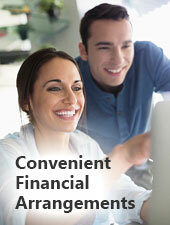 Our goal is to maximize your insurance benefits and make any remaining balance easily affordable. If you have any questions regarding your insurance benefits, please don't hesitate to call our office at (855) 317-9971 to review your concerns. If you would like to review these financial arrangement options with one of our team members in advance of treatment, please call (855) 317-9971. If you have dental insurance, please call our office at (503) 665-6166 to verify your specific coverage.